The Aérospatiale Alouette II SA313B (SA3130 prior to 1967) is a light utility helicopter that was first produced by Sud Aviation and then Aérospatiale. The Alouette is of French origin and is the first production helicopter to use a gas turbine powerplant in place of a piston-powered unit. 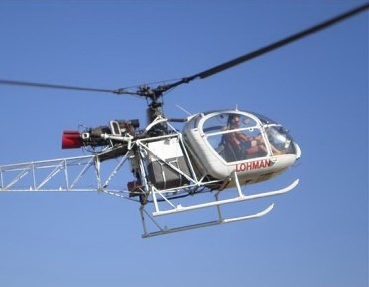 The Alouette II has an iconic design, with its bubble cockpit and naked frame tailboom this three-bladed helicopter is hard to mistake for anything else. The Alouette II is probably best known in aviation history as the first production helicopter to incorporate a gas turbine engine. Until that point heavy, piston powered, engines were the norm, but these were inefficient and complex with a comparatively poor power-to-weight ratio. 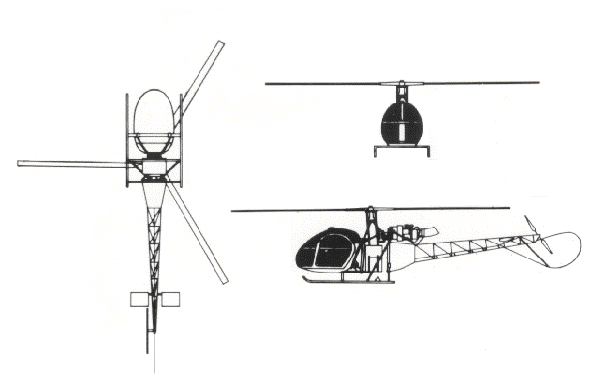 The specific engine used in the Alouette II was the Turbomeca Artouste IIC. The Artouste produced 360 shaft horsepower (270 kw) Coupled with a maximum takeoff weight of 3527 lb (1600 kg) which meant the Alouette II left piston powered helicopters of the time in the dust. The helicopter cruised at 106 mph (170 kph) and could hit 115 mph (185 kph) in a pinch. A 7 545 ft ceiling (2300m), four hour endurance and 350 mile (565 kilometer) range all made the Alouette II a top performer when coming from piston engine technology. Apart from being the first production turbine helicopter, the Aloutte II is also the first ever helicopter to carry anti-tank munitions. The helicopter was mainly used in military roles such as observation, photography, offshore rescue, training and anti-tank and ship operations. It did however find use in civilian roles as well, including medical transport and crop dusting. Thanks to its good performance at altitude it was also used as a flying crane capable of carrying a 1102 lbs. (500kg) underslung load. The versatility, reliability and performance of the Aloutte II ensured massive sales. Over 1300 Alouette IIs were built between 1956 and 1975. They have been used in more than 80 nations, including 47 armed forces. Do you want to comment the Aerospatiale SA313B Alouette II helicopter?